I have wanted to write a blog for quite some time, but blog topics come and go and my interest waxes and wanes as my life keeps on jetting along. It feels like I blink and then three more months go by. At this rate, Christmas will be here before I know it. I wanted to set tonight aside to write a blog, because it seems like if I don’t make it a priority, then it will never happen. You know how it goes- you get off work late, your sister calls, you need to stop by the ATM, you send a text or two, and then you hop on Facebook and time seems to warp speed forward and you wonder where it went? Yes, that is my night so far. So, in honor of semi-random musings from my world (again), here is this blog. 1. I entered a poem that is very personal to me into a poetry contest on www.poemhunter.com. It is perhaps my favorite poem that I have ever written. It is about regret, a topic that I am sure that many people can identify with. Perhaps running a close second in terms of my favorite poems that I have penned is “Shy Girl.” Both poems are special to me, and it was a challenge to decide which one to enter in the poetry contest, since only one entry is allowed per poet. I have posted poems on www.poemhunter.com for over a year now, and I am excited that they are having a poetry contest and will have online voting once the entry deadline passes. I would love to win the $1,000 grand prize, especially with my less than prosperous financial situation, however of vastly greater importance than the financial blessing is the validation that I would feel as a poet if my poetry was selected for one of the top prize spots. I know it is a long shot to win a contest like that, but if you don’t aim for the stars, then you never know. 2. I got on Facebook FINALLY. If you know me, then you may know some of my issues with Facebook, but I have largely made my peace with it overall. I still don’t think it substitutes for real live friend face time, but I do think it is pretty amazing to form a bridge with people in your life and potentially even around the world. Honestly, I can get distracted by just the news feeds alone from my friends, and it is nice that I have recently connected with some of my family on Facebook, too. I am hoping to reconnect more with old friends and also enrich my newer friendships. I especially like Facebook for getting to see status comments and pictures that people share, but mainly I like how you can keep up with your friends lives and with things that you would not know. I almost feel like I have been living the life of a hermit, but I have finally come out of the cave. I do think social connection is good (but I highly value in person time), and I am trying to figure out a balance with my Facebook time and my real-life time. 3. I decided to try the free Netflix one month trial at the end of May, after having it recommended by several people and figuring out that I could responsibly budget it in. When my free trial was over, I decided to continue on with a paid subscription to stream it, especially since I don’t have cable. I like it, especially the amount of movies of different genres and tv shows you can choose from. I am kind of a nostalgia girl, and I like how there are classic tv shows, like Knight Rider and MacGyver, on Netflix. I also find my self watching a good number of ABC family type movies, or movies that my friends probably would not be as thrilled to watch with me (Santa Paws, anyone? I know, I know- it is not Christmas, but I felt like watching a cute and uplifting Christmas/dog movie). Netflix seems behind the times with new movies, and I have owned some new movies for months by the time they get to Netflix, but Redbox fills in the gaps for a cheap rental in the meantime. 4. I wish you didn’t have to request a receipt at a restaurant or coffee shop when you pay like you request a food item. This is a pet peeve of mine. I went to a local coffee shop recently, and I was disappointed when I paid with a credit card and then I got moved on down the line to the next customer but was not given a receipt. I used to record to the penny the discretionary money that I spent, and I was highly disciplined with my budget. I had even cut up most of my credit cards during a financial class that I took. I have loosened up a lot with my budget these days, and I am using credit cards more, but I will note that it definitely hurts more to pay money in cash than to swipe a credit card when the amount is in the double digits. I think wise financial stewardship is important. 1. I decide to again do my taxes myself this year. Perhaps I am still scarred from my bad experience at H&R Block several years ago, and how they misquoted me the amount that I would pay as a single person with a very easy return. 2. I gather my tax forms from the library, do a rough draft of my 1040A form, and get delayed in finding and printing the amount of interest I paid on qualified student loan payments. I speculate about the IRS updating tax codes to be more fair to the tax payer. I think it is 100% unfair that the 1098-E is not furnished by mail to individuals if the lender doesn’t receive interest payments of $600 or more in a year. Plus, why is the Earned Income Credit (EIC) for people who work so vastly different for single people vs. people with children? A single person doing a 1040A for 2012 must make less than $13, 980 (per 1040A, line 22, adjusted gross income or AGI), but a person having one child living with her or him can make an AGI of less than $36, 920. (Note: this is actually just step 1 to pass to see if a person qualifies for the Earned Income Credit). Why the disparity? It seems the American tax code greatly favors people with children over single people on multiple levels. 3. I file online using free fillable forms. 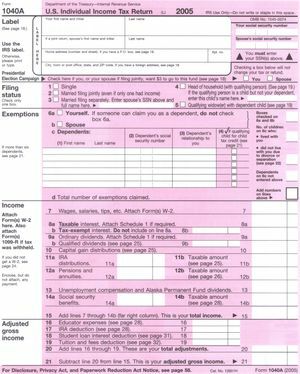 They are essentially the electronic version of paper federal tax forms, but they can enable you to get a much faster refund since you electronically file. 4. I dislike how some of the free fillable forms are counterintuitive. You can’t actually add your W-2’s when clicking on the upper tab to add forms, because you must click step 2 to do that. In addition, (from what I can tell), you can’t move to step two by clicking “done with form” at the bottom of your 1040A, you have to click on the top “step 2” to go to step 2. This seems illogical to me, because if you are done with a form, then you should be able to click “done” and move on to the next step. Plus, am I the only one who noticed how when a person types in her information on her W-2’s and uses the tab key, then it will jump numbers and not be perfectly chronological around the 12-20 fields? I don’t like that filling out the W-2 seems to work backwards and out-of-order. 5. I am happy to have my refund submitted electronically to the IRS after time spent surfing FAQs to answer e-file questions using free fillable forms. 7. Thus begins my search for why my refund was rejected. I realize how”Tax Literals” seem to be at the root of my rejection problem. Essentially, tax literal problems are caused by putting something into the small grey box areas on the tax return that does not belong. A person has to be instructed to place information in those areas. Utilizing the link sent to me in my rejection e-mail about common tax problems, I link to the IRS website and find a helpful link, the FAQ document for Tax Literals. However, I notice this IRONIC line about tax literal information on the official IRS government website. (Note: editing done to bold typographic error). “In the example above, the rejection was caused by using an incorrect state abbreviation on Form W2-G and yopu would look on that form to correct the information.” (http://www.irs.gov/pub/irs-utl/2012_4f_faqs.pdf) (Free File Fillabe Forms FAQS and Limitations, February 28, 2013). 8. I realize that line 7 (wages, etcetera) was where my mistake was made, so I fix the error and re-submit my tax return. 9. Yay! My return was accepted! Is this the never-ending story, or what? Finally, my tax return saga is over!